Shepherd Alliance | Shepherd Alliance interns blogging their summer. For seven and a half weeks I left the beauty, comfort, familiarity, and peace of my lovely mountains and lost myself on a desert mountain in Northern Arizona. Here I lived, loved, and learned. For seven weeks I was not myself, but who the people of the Navajo Nation, the Shepherd Alliance, and St. Anne’s Mission needed me to be. 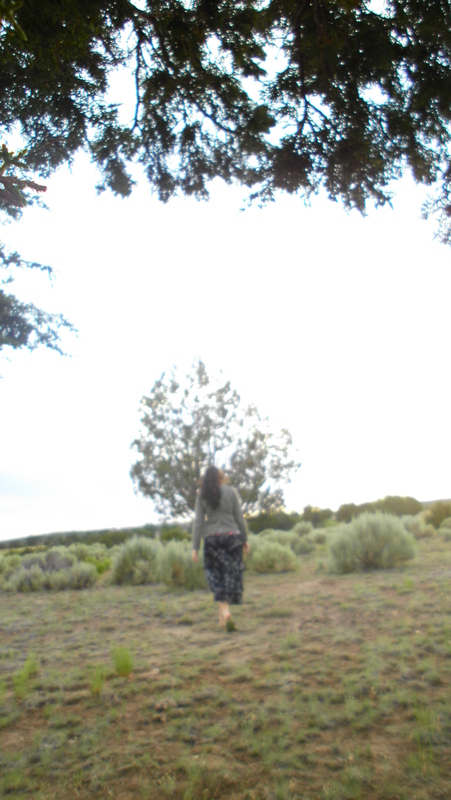 I came to this desert haven looking for something, looking for peace and purpose. I found so much more than I ever dreamed. 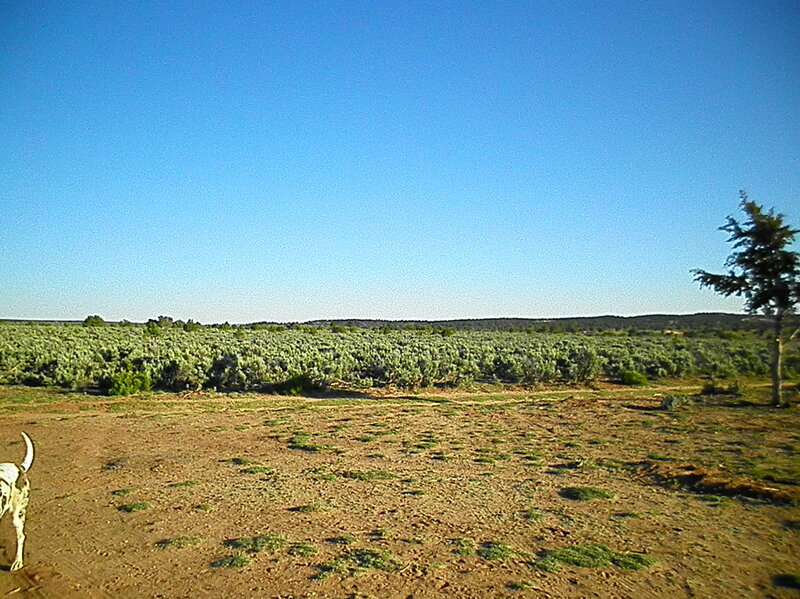 Since the last time that I escaped to the desert around Phoenix two years ago I have craved the peace of the desert. And so, with this fond memory and craving I made my way to the village of Klagetoh on Memorial Day. I was in love from the moment I stepped out of the car. There is one thing that few people talk about or think of when the topic is the desert, and that is the desert’s greatest treasure: her people. And so it was with great wonder and thankfulness that I dove headfirst into the Navajo culture and allowed myself to be a part of their world. I learned so much from them. I learned to love myself, to trust the world around me, to laugh easily, to hide behind my eyes, to work for trust, to be flexible, and to relax. The peace that Sister Desert and her children offered so readily to me will never be forgotten. And that is the greatest gift that either of them gave me or could have ever given me. They taught me how to take this peace and lock it in my heart so that it is mine forever, even over a thousand miles away. 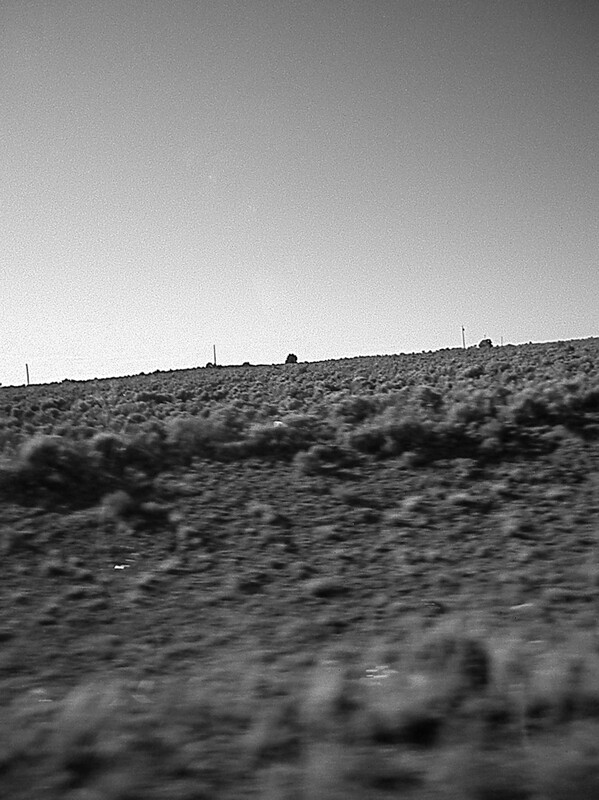 But I cannot stay in the desert forever. I am a child born in the shadows of the oldest mountains in the world. I was raised in North America’s Rain forest. I am a child of water. And so, with both sadness and joy in my heart I say “Hágóone’ (good bye)” for now. 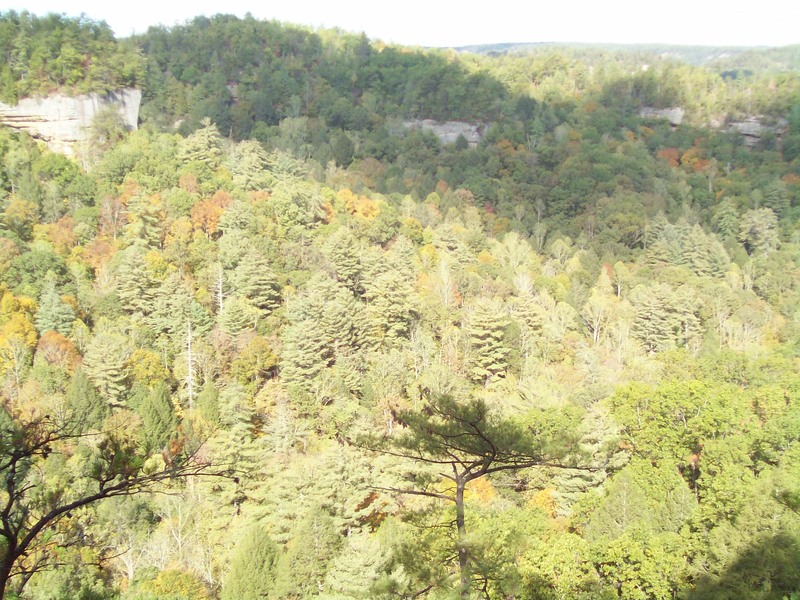 My mountains are being destroyed by the greed of the coal companies. They are crying and calling to me. They are calling and I must answer… May the peace that I have been given by the community of Klagetoh, AZ reverberate in the hearts of all who pass through that blessed village. We will see each other soon, Sister, but for now I must go home…. How quick it has gone by! We are nearing the end of the program, and I am finding myself sad to leave. I have really enjoyed my co-workers and clients, and as I am putting together my final presentation, I find that I have learned a great deal of things. One of my greatest experiences is learning how to work with the mentally ill. While preparing for the big move next store, social services was cleaning out their stuff and gave me one of the journals–the January 2007, Volume of Social Work–which has information about working with the mentally ill, and the stigma that is attached. It was interesting to read about studies that have shown that the clinical diagnosis of the mental ill may exacerbate the stigma of mental illness. Stigma can create barriers that further deter progress in client’s lives, such as active label avoidance, blocked life goals and self-stigma. Outward behavior of label avoidance is often seen when they are unwilling to follow their treatment plan. Commonly, they do not follow through on treatment because they want to avoid being called a “mental patient.” It is not so much to avoid any shame or hurt to their ego, but as to avoid the prejudice and discrimination that comes along with being mentally disabled. Another way you may see this label avoidance of the mentally disabled, is through public benefits they may receive. My co-worker, Stacey, has had multiple conversations with RepPayee clients about the special bus passes they use. One RepPayee client calls regularly, having noticed that her bus pass looks different than others, and refuses to use hers because she feels like the public will know she is mentally ill. Stacey explains that this is not true, and that she may have access to this pass for a back problem, or any other number of disabilities, and that people would never know that it is because she has a mental disability. Nevertheless, the disabled are conscious and worried about the prejudices that come with their disability. These prejudices can be very hampering to the disabled. A blocked life goal is a prevalent experience of the mentally ill. At Bread, the RepPayee program works with their clients in hope that one day they will be able to manage their own money. A common goal of most services is to help the client develop their own independence, which is challenging because of their serious mental illness. As services look to promote progress, they find that the general public does not understand the extent of their client’s capability. Landlords, employers, and even medical caregivers are some of the public personas whose prejudice severely hampers client’s opportunities. It is clear that the people who work for this organization genuinely care about their clients, and have the gift of compassion and patience that is so necessary to be successful in the kind of work. I think this is why the clients in the RepPayee program, or clients with disabilities in general, do not have strong self-stigma behavior. On the other hand, perhaps this difference from the clients at Bread compared to the general disabled populous shows how much the individuals at Bread care about their clients, and how wildly successful they are at what they do. I am so excited to come back and visit this agency to find out how they have expanded, and what aspect of Poverty they are tackling next. Corrigan, Patrick W. “How Clinical Diagnosis Might Exacerbate the Stigma of Mental Illness.” Social Work 52.1 (2007): 31-39. Print. I met a lady who was miserable. She was yelling at anyone who would listen, and seemed very frustrated. I started talking with her, and she said that she needed to recertify for Medicaid and this is why she came in to see someone. I reassured her she would be seeing someone soon. She told me that she was having a terrible day, and when I said I hope it gets better she says it won’t because she has been in pain for 20 years, and I am just a baby and do not know this pain. I agreed. She told me she is getting knee replacements and about how she falls everywhere. In my eyes, her chronic pain is debilitating both her mental and physical capacity. She was clearly worn out and her optimism was all gone; she was very abrasive. A lot of outsiders may feel like she is harsh and rude, but they do not realize her pain. This is what strikes me the most. Why is she so fixated on fixing other people? She has problems of her own but she just keeps on talking about “the people who need help.” Perhaps it is her way of feeling powerful. Through my client contact, I can see how people can feel powerless in their situation. After being through the washer again and again, it would be easy to think that I do not matter anymore. Maybe I would get frustrated like her, frustrated even in my own body. I hope that she finds peace, whether we can help her improve her quality of life or we help to relieve some of the pain she feels. Bread For the City provides the opportunity for clients to participate in a contraversial program called the Needle Exchange program, where IV drug users can exchange their needles for clean ones at our clinic. One of my intake clients today was a user of the clinic. One side says that this would mean addicts would have free and easy access to needles, where as on the streets they are sold for a certain price. True, and Bread definetly uses this fact as an incentive to bring people into the program. The other side is that by providing users with clean needles BFC is maintaining disease control and getting dirty needles off the street. In 2009, BFC distributed $300,000 worth of needles for dirty needles, and they had a 96% exchange rate. The deal is that consumers bring in their old needles in their own personal containers (which are then disposed of with other biohazard waste) in order to get a new one. Another motive of this program is that the people who come in are also linked up with medical care at the clinic, which is another step in the right direction. Most of these people may have never experienced this kind of contact, and may have never found it if it was not for this program. Health care is a necessity that can help better their quality of life, and so this contact is very important. It is clear this program proves beneficial to our clients. There are the people who come in who need just a little attention. They need a referral (perhaps for a computer) or information about housing lists in DC, and this is what the JA appointments address—usually run by Case Managers at Bead. Then there are the persons who are advised by Social Workers. They need constant attention in order to guide their daily routines, and at Bread, these people are usually our psychologically disabled clients. But what about the middle man? What about the people who need a little extra help organizing their lives? There was a woman who comes in to JA walk-ins 2-3 times a month, to get help checking and writing her email. This regularity is a sign that this client could use a little extra attention. Although she is not mental disabled, it just took a little extra time to figure out her situation. It turns out the client requesting help with her emails has a significant other that can only communicate by email; however, she does not know how to use the computer. They researched what classes are available to her. Hopefully signing her up for classes will bring her much closer to becoming (and feeling) independent. It is important to help the impoverished build their skill set (or capabilities) with their capacity to learn, in order to relieve poverty. However, with persons who are mentally disabled, it is not that simple. We’ve been out here just long enough to realize the wonder that is fry bread. 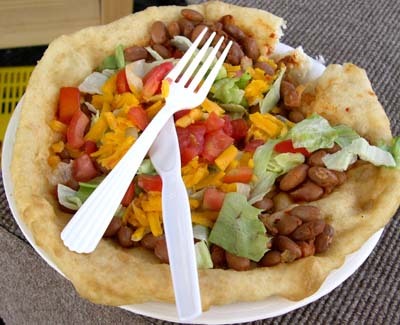 A rather simple thing really, served with most Navajo meals and often used as an alternative to a taco shell, hamburger bun or roll. This wonder is usually salted, but we’ve heard of many variations such as powder sugar (think funnel cake), honey or syrup (think thick pancakes) and my favorite, red pepper flakes (nice and spicy). 2. Mix dry ingredients together in a large bowl. Cut shortening into dry ingredients. Mix well. 4. Mix with your hands. 5. Prepare to get messy and be covered in goo while continuing to mix (we kept adding a little more flour, but not too much or it will taste like flour). 6. 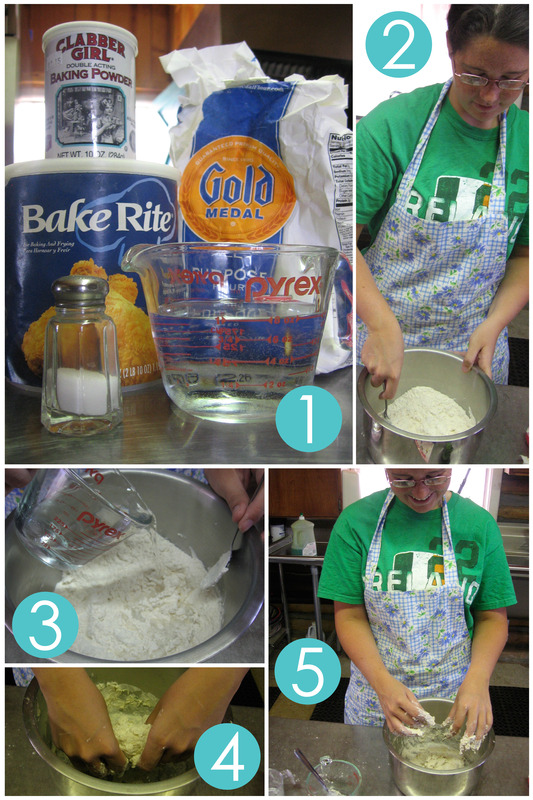 Keep mixing until it forms a soft dough and does not stick to the bowl. Roll into ball. 7. Cover and let stand 5 minutes. 8. Break the dough into small plum size balls (use flour if it is sticky). 9. Stretch and pat until the dough is flat and round (make sure it is smaller than your pan). 10. Heat the vegetable oil in a frying pan. Make sure this is very hot (should just start to smoke). Lay the dough into the oil carefully. 11. When brown on one side (only takes about 12 seconds), flip the bread on the other side and cook. 12. ENJOY!!! Pour on the salt, powdered sugar, honey, or eat with stew, soup or just by itself. Pictures of us with babies! 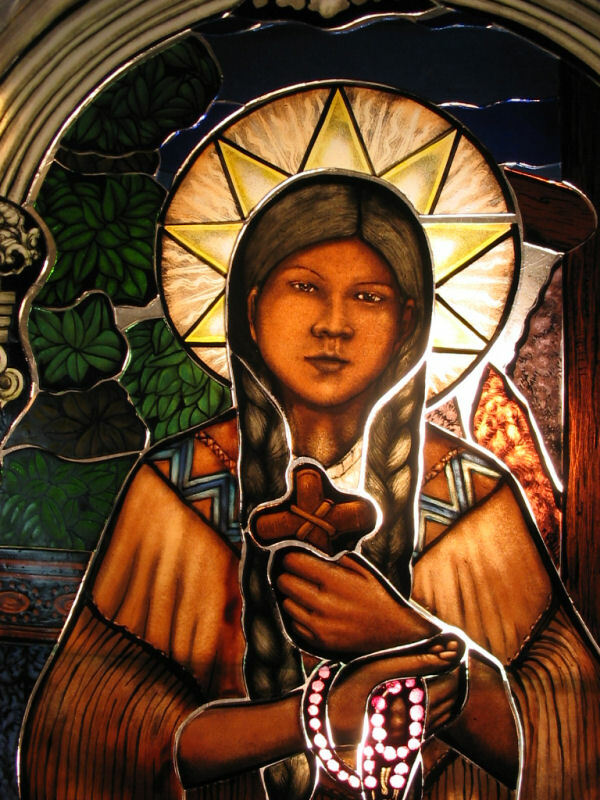 Many of you may not know the story of Blessed Kateri Tekakwitha: how she lost much of her family to small pox, was persecuted by and fled from her tribe, or the miracles attributed to her. It is a story that needs to be known, but this is not the place for me to delve into the wonders of her life and death nor is it my intention. However, I HIGHLY recommend that you do research into her yourself. Believe me, it is well worth it. Now onto the main event. Tekakwitha (pronounced Te-ka-with-a) died in 1680 at the age of 24 and the canonization process started in 1884. She was declared Venerable by Pope Pius XII in 1943 and beatified by Pope John Paul II in 1980. She is the only Native American to ever achieve such honor. Quite a feat, but not enough to the over half a million Catholic Natives that look to her for strength and protection, including many of the Navajo that Maddie and I are currently working with. That’s where the Tekakwitha Conference comes into play. 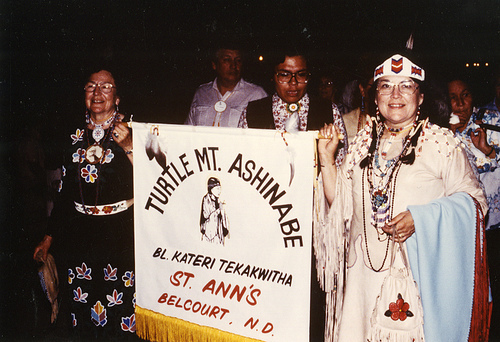 There has been a lot of talk about the Tekakwitha Conference since we have come here and that is because the 71st Annual Tekakwitha Conference is being held a mere 4 hours away in Albuquerque, NM (well and because we’re living in a Catholic Mission). A number of the parishioners here at St. Anne’s and from All Saints’ in Ganado (15 miles away) are traveling to Albuquerque to attend the Conference. The only problem is that many of those going do not have a lot of money as it is and will have several fees and dues to pay over the next few weeks for the Conference, not to mention the cost of lodging and food for the 4 day conference. So, in order to ease the burden for some of the less affluent the decision was made to sell Navajo Tacos at All Saint’s as a fund raiser. And, as per our association with St. Anne’s, Maddie and I were asked if we would like to attend and help out with the Tacos. When we arrived at All Saint’s we were directed to the kitchen and as we walked through the door and announced “WE ARE HERE TO HELP!” the first question we were asked was “Can you guys help make Fry Bread?” The irony in this question is that since about the first weekend that we had been on the Rez Maddie and I have been saying that we wanted to learn how to make Fry Bread. 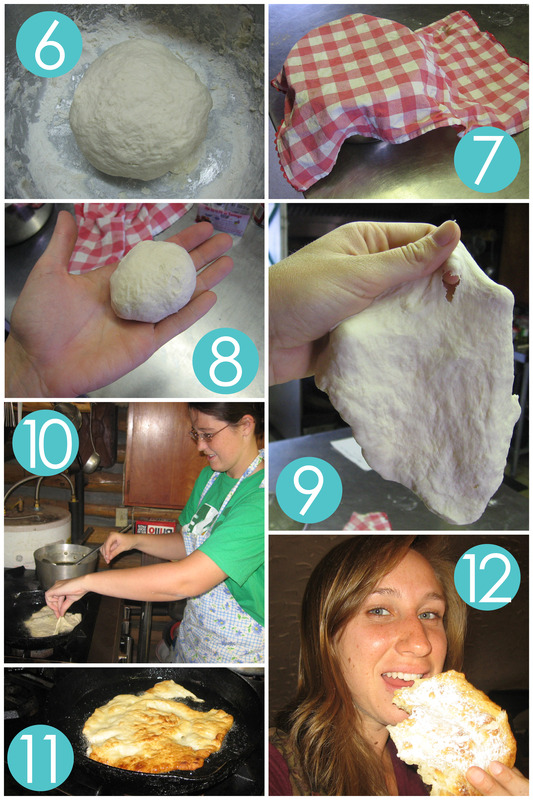 So, the elder that was frying the dough showed us how to shape the dough (which is not NEARLY as easy as the Navajo make it look or seem!) and put us to work making a few pieces of that yummy-ness. Then, from about 11 a.m. to 1:30 p.m. Maddie and I were put to work doing all kinds of cooking errands: dicing tomatoes, chopping lettuce, grating cheese, shaping dough, frying dough, stirring beans, putting the tacos together, selling the tacos, and serving the customers. It was SUCH a busy day, but enormously enriching. We were working with four women throughout the day who entertained us with stories, or their chatter, or even their frights (the elder screamed upon seeing a lizard in the kitchen and her scream sent us ALL RUNNING!). Also all the different customers and their joy in supporting their community and speaking to others was so uplifting. They even made, after everything they owed for the supplies was taken out, $227.21! 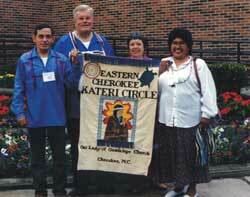 It was a blessed day served in the name of the Blessed Kateri. 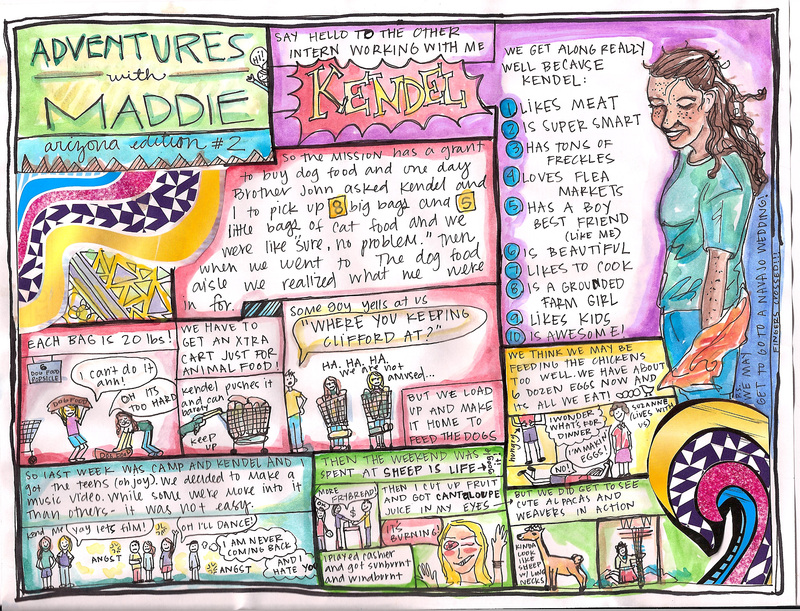 Our latest mishaps, shenanigans, and adventures in Arizona (click image for bigger view)! Tuesday night, the childcare was crazy. It was the first night, and we probably had 23 kids… most of whom were under the age of 5. (Most of them had not been pre-registered by their parents, and we were expecting to have mostly older kids.) There were 3 of us helping (Whitney, a Bonner student from U of R named Thomas, and myself) but it was impossible for us to keep track of everyone, or stop them from opening the doors and going to find their parents in the classrooms, or take them to go to the bathroom, or stop them from eating crayons, or… well, my supervisor congratulated us afterward for surviving. We’d talked about switching the groups and having the older ones come in to color while the little ones ran around in the gym with Thomas, but then we decided not to disrupt Thomas’s group, since it was still going really well. He did a great job of tiring them out by the end! So we improvised. I grabbed a couple of plastic balls from the gym and had everyone sit in a circle on the floor. We played a “name game” where, when you hold the ball, you say something about yourself; everyone else raises their hand if it’s true about them, and you toss the ball to someone whose hand is raised (courtesy of summer camp). Whitney was still quieting down babies and being amazing, so I supervised the game. Now, a lot of these kids have very limited English, and I’m pretty sure some of the boys didn’t understand what was being said. One of them raised his hand when a girl said she liked wearing dresses… And other kids were just sitting there, not really participating or responding. Some of them had come to America really recently. As we’d learned on Tuesday, some of them had never been away from their parents before. There’s one sassy little girl who will tell me a small monologue in Egyptian, and it’s really difficult to know how to respond. So the name game was moderately successful (everyone had to be sitting in order to play) but after a while the excitement fizzled out. The last thing I tried with them was a game of Duck Duck Goose, and it was a major victory. All the ones who were past high-chair age formed a circle; the littlest ones stayed in their high chairs with Whitney. (She even had to change a diaper, but she got to teach them what “pink” meant.) As I started to explain the rules, one boy said, “That’s boring!” I said, “Oh, so you’ve played it before?” He said, “No, I’ve never played it,” and then he ended up being one of the most enthusiastic ones! Another boy, who would only say “Yes” no matter what you asked him and hadn’t been fully involved in the earlier activities, was the first one to tag “it” before “it” made her way back around the circle. He was so proud of this accomplishment that, after that, he’d run up and tag “it” even when it wasn’t his turn. The three most talkative girls (cuties! I’m obsessed) would explain to the younger ones how to play, and sometimes hold the hand of a littler one and help her pick a goose. It was the perfect activity to keep them entertained and get some of them out of their shells. Plus, I got to run around–they kept wanting me to be the goose! The whole thing was beautiful. I can’t wait for next Tuesday.